WASHINGTON – If you would like to take in the National Christmas Tree Lighting ceremony, Beach Boys performing, but prefer to avoid the inevitable traffic mess – you’re in luck. The White House is providing a livestream of the event, so you can watch it comfortably from afar. But wait You can see Mike and Bruce again on The Hallmark Channel on December 4, check your local listings. 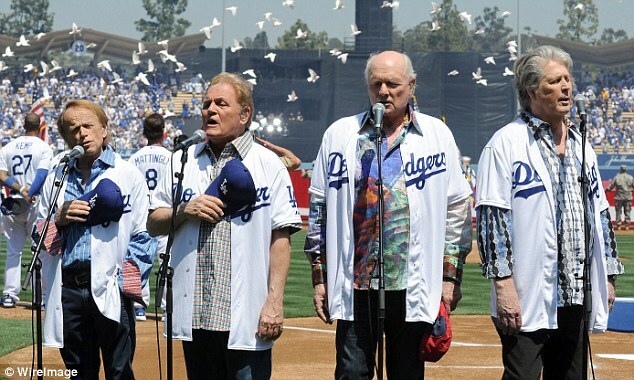 This re-broadcast is reported to include all four acts, including "The Beach Boys" that accompanied the Lighting Ceremony. Surfs up around these parts.! I guess they're wearing shades to protect their eyes from the expected bright lights on the tree? While standing in the ocean with rolled up trousers, no less, advertising a Christmas tree lighting ceremony. Yeah, pretty much in line with the whole deal as of late. We just need Dean Cain in front of a green screen plugging Mike's new album to have the complete package. 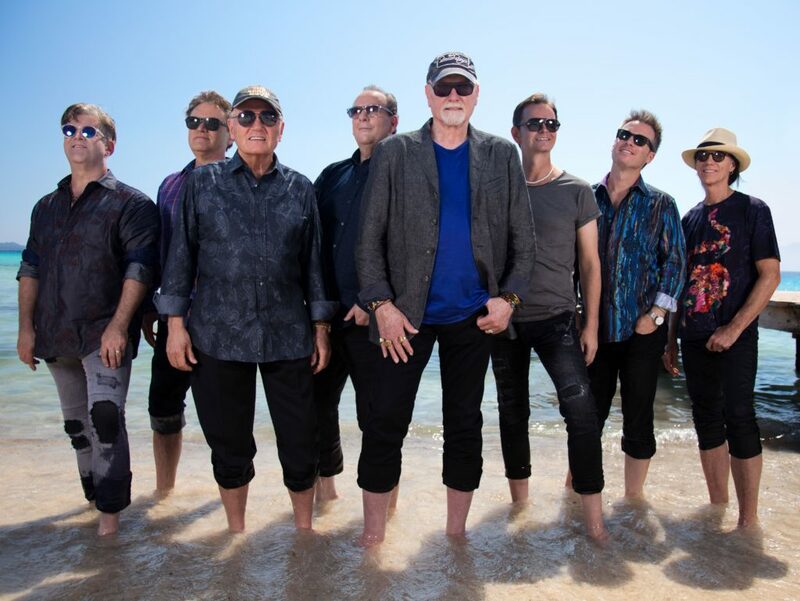 Are they all Beach Boys or just the guys with caps that have, "The Beach Boys" emblazoned across them? Thanks, I might check that out. Ironically, perhaps signaling the type of "talent" they're currently able to lure for such official events (perhaps similar to the inauguration), one blurb I read mentioned that none other than *Dean Cain* co-hosted this tree lighting event! Oh that takes the cake! Dean Cain is back again for more fun and merry-making with Mike and co., even though last year they green-screened him so they could use footage from 2015 and still plug Mike's book. Wonder if McGrath will show up this time wearing a touk and a scarf. You can't make sh*t like this up. No commentary, just passing on info, except to say..."ouch"
"Tonight's White House Christmas tree lighting with the Trumps, Kathie Lee & Beach Boys and nobody showed up! Now, this is really embarrassing. Usually, this is an overflow crowd every year. Look at this - nobody but probably choir and the parents. And rows and rows and rows - empty!" Wow. It'll be interesting to see how (or if they) distract from the sparse audience via editing/direction on the Hallmark telecast. Was Mike's band at the show in 2011 when this picture was taken? I'm sure plenty of people will question when during the evening all of these pictures were taken. Perhaps we'll see far more people in the audience on Hallmark next week. Small enough for OSD to heckle! These are maybe the "Beach Boys" but not the BEACH BOYS !!!!! 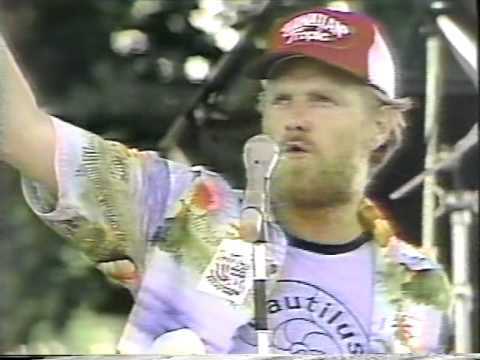 I dunno, Mike's hat clearly states "The Beach Boys." 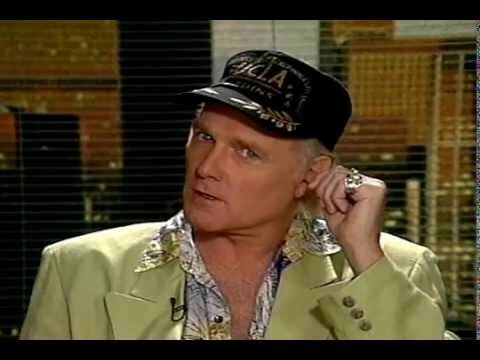 Whatever Mike's hat says, that's what it is. And here I'm just gonna guess.... John Deere? Jude is the hat whisperer! One video of the Mike segment of the show on YouTube so far. Not sure of how many songs they "performed", but this video captures the classic Beach Boys Christmas tune......"Unleash the Love?" And it sounds like they're miming to the pre-recorded album version of the song, possibly with some live backing vocals? Either way, Mike's vocal sounds pre-recorded and still heavily autotuned. The only thing better than reading this thread today - can't pick a favorite post, they're all so funny - is all the "Mueller time" I'm enjoying on TV - so many early birthday gifts, so little time! Thanks, everybody! I finally got up the courage to listen. Okey-dokey...But maybe Melinda was there to "attach the autotune" to their mic's? I know the White House will stream the performance, but will there be anyway to download it? I always like to be able to hold onto Beach Boys proshots. And it sounds like they're miming to the pre-recorded album version of the song, possibly with some live backing vocals? No-shows not uncommon at National Christmas Tree Lighting. While a viral photo posted and shared on social media shows many empty chairs in the crowd during this year's event, the image may be a bit misleading. 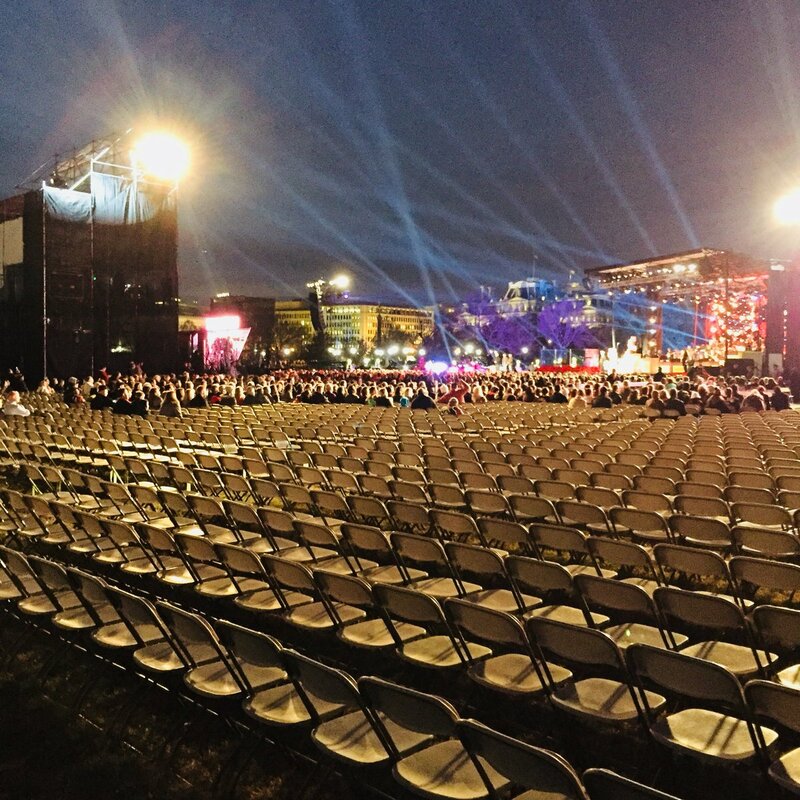 Asked about the empty chairs photo on social media, the National Park Service explained that no-shows are not uncommon for the National Christmas Tree Lighting. Since tickets are handed out to people around the country, there are many who are selected that do not live in the nation's capital and in the D.C. region, and this is believed to contribute to people not showing up for the event. Of the 20,000 tickets given out, it is believed on average that 12,000 to 15,000 people attend the tree lighting ceremony each year, according to the National Park Service. While there are empty chairs seen in the back of the audience this year, you can still see many attendees in the standing room section behind them. If they had tickets for seats, most all the empty chairs would be filled. You can spin the story however you wish. I'm glad you continue to post. COMMENT to Debbie KL: Hello, hello! Thanks for your kind words. Having worked at Ivar and with all the Beach Boy daily shenanigans, you can appreciate the photo in question. You can make lite of anything, but stop and consider this photo. First, as Debbie well knows, just getting eight people together is an accomplishment in itself. Then you've got to decide where the photo will be shot and find a location. Next get the people all to show up. I'm certain several different poses were considered, but this one is a "winter on the beach" type of thing -- jackets and all. I'm sure the water was cold, as it always is in California. Maybe Bruce showed up in his typical shorts and had to be supplied pants . Next a decision had to be made about the sunglasses. Then who looks where. I thought that having the principles looking directly at the camera while all the others look elsewhere was a brilliant move. It's subtle, even subliminal, but it works to make a distinction between who's the headliner and who supports them. Debbie, you should post more often. I'm sure you have some stories you could share. Best to you!! ~Steve D.
Powered by SMF 1.1.21 | SMF © 2015, Simple Machines Page created in 0.228 seconds with 21 queries.